Packaging Dimensions 7.8 in. x 4 in. x 1.3 in. A very helpful product for lubricating contacts, preventing corrosion, and dissolving oxidation. 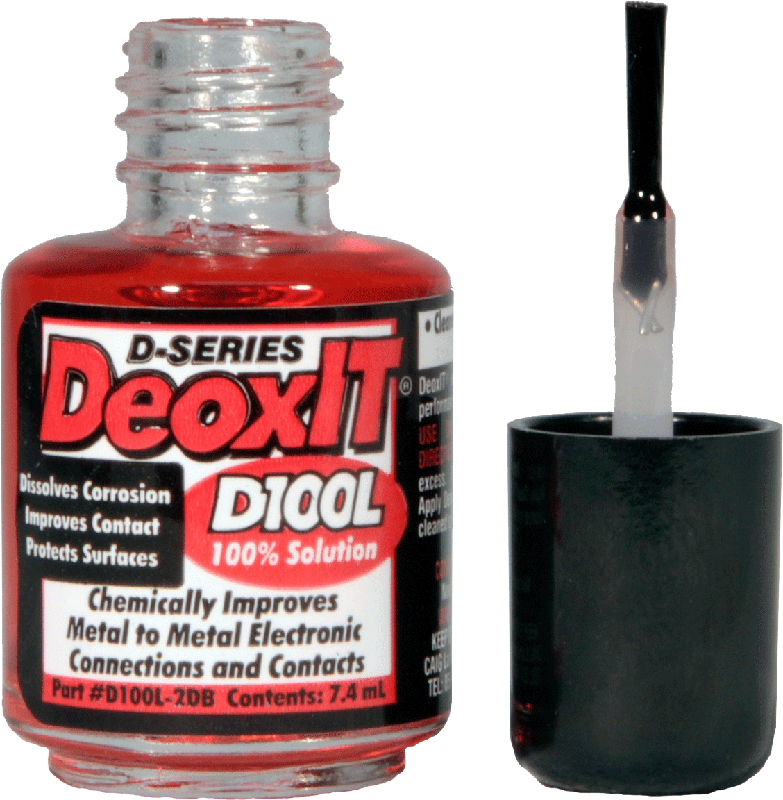 DeoxIT does not evaporate quickly and a little applied with the applicator brush lasts a long time. Reduces wear and improves conduction on mike connectors and tube sockets. Superior to other products that use mineral oil.